Let Fat Lips take the guess work out of finding surf lessons and depend on our local knowledge to guide you. At Fat Lips we’ve teamed up with Siargao’s longest running and most dependable surf school, to get you surfing like a pro in no time. 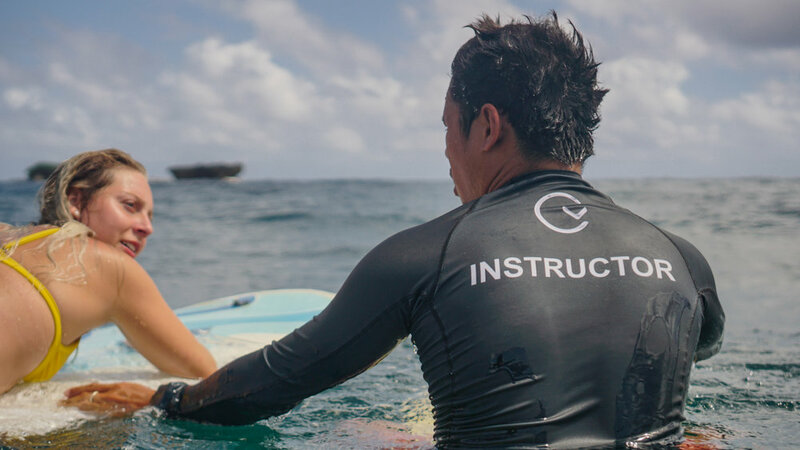 Whether you’ve never surfed before or are looking to improve your skills, the ISA/SISA* qualified Gwapitos instructors will take your surfing to the next level. ~ one-time, ‘discover surf’ lessons or daily / multi-day surf packages all available. So you already know how to surf? Well then let the Gwapitos take you to the best spots, tell you where to sit in the line-up, and cheer you on as you get the waves of your life with a qualified surf guide. They won’t push you, or teach you how to surf, but they will offer advice and support to make sure you get as many waves as you can during your stay in Siargao. With a Gwapitos surf guide you’ll be surfing with the locals in the best spots for the current condition. *ISA – International Surf Association.